Reaching out with SMS messaging to anyone with a mobile phone anywhere in the world has never been easier. Where many cellular phone service providers fail, ipipi.com picks up the slack. When you take advantage of our fast, friendly and highly convenient service, you will be able to experience SMS messaging using any mobile phone or computer. Convenience – Text messaging is often a more convenient way to enjoy communications when on the road or in a meeting where verbal phone conversations would prove cumbersome or inconvenient. SMS messaging is quiet, convenient and easy to take advantage of thanks to ipipi.com. Affordability – SMS messaging is extremely affordable when you take advantage of ipipi.com. Our service is available for just pennies a message, no matter where in the world those messages are delivered. Speed – When you send SMS messages, the entire experience can be extremely fast. You can type in your message, send it and have your recipient receive it within minutes. Even if you cannot type quickly on a telephone keypad, you can still enjoy speed thanks to the fact that ipipi.com messaging is also available via PCs. Superior service – At ipipi.com, we believe in making SMS messaging an enjoyable experience for everyone. We do this by providing a valuable service that is easy to use, flexible and comes with the flexibility our customers need. Freedom of choice – We don’t believe in restricting our customers from experiencing the power of SMS messaging service if they don’t have a mobile phone. Our service can also be used via computer for both sending and receiving text messages. This also means clients who hate phone keypads don’t have to use them if they don’t want to. Multitasking ability – Ipipi.com enables its clients to send multiple messages at once or a single message to multiple recipients. We enable our customers to fully customize their experience so they can better enjoy SMS messaging. Ease of use – We have created the Ipipi.com interface to be fully functional and fully user friendly. Getting started with us is not difficult at all. With people all over the world now using SMS messaging on a regular basis, it is a shame to have to miss out on the power because a mobile phone service doesn’t provide this feature or a mobile phone just isn’t available. 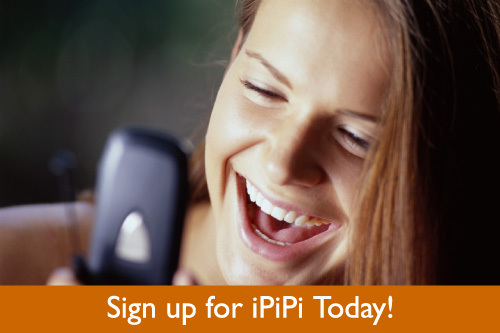 Thanks to ipipi.com, everyone can experience the benefits of text messaging. Getting started with us is easy. Just sign up for an account and you can start enjoying the power of SMS messaging within minutes. Our service is backed with a guarantee, too, which means you have nothing to lose out on but important communications.